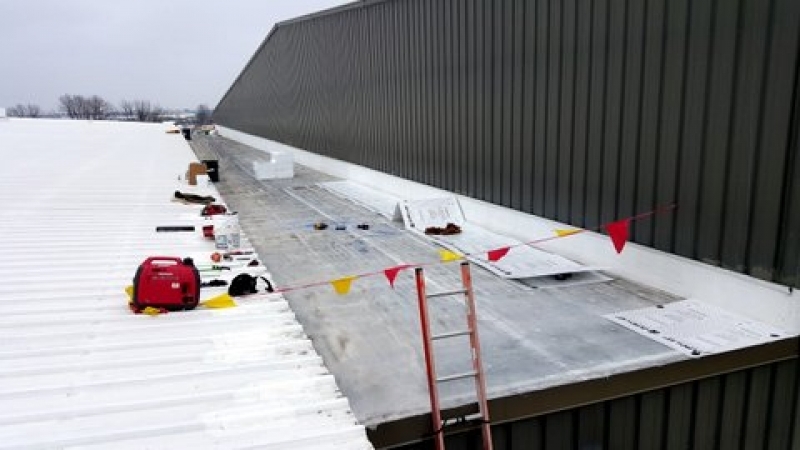 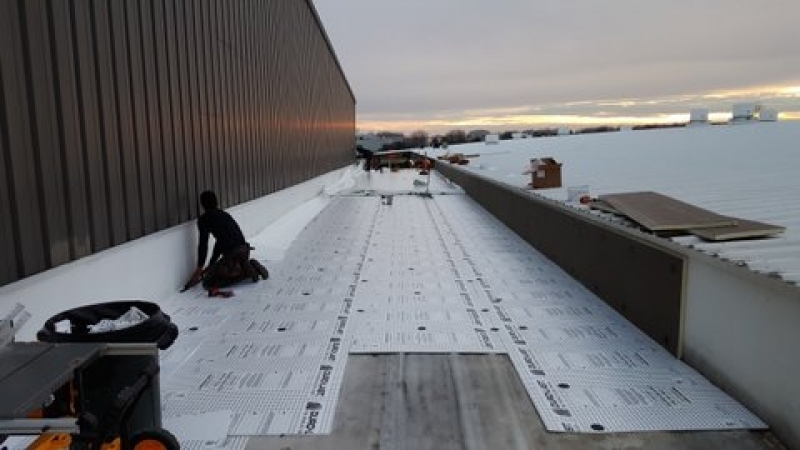 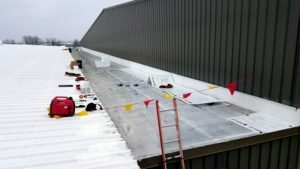 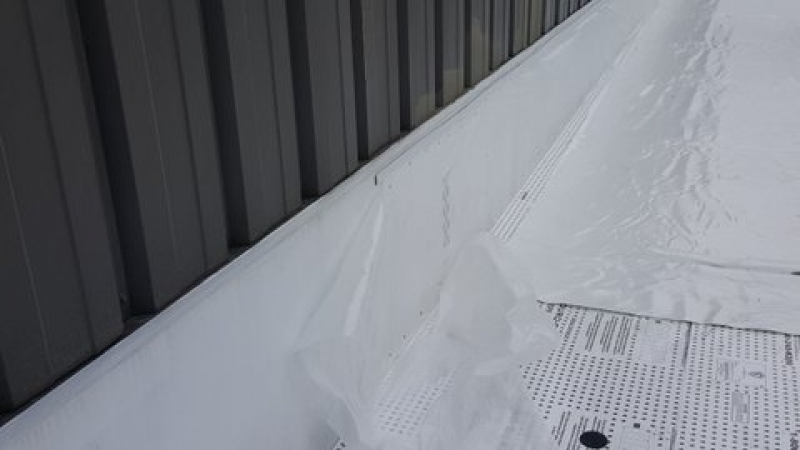 Mid-States had 3″ mechanically applied ISO board insulation with a fully adhered EPDM roof. 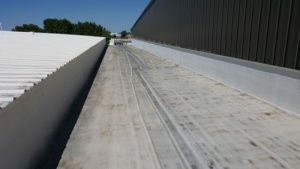 Over the years, the facer on the insulation had deteriorated and the delaminated EPDM was blowing off in the wind. 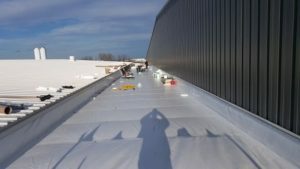 We installed fanfold insulation with a mechanically installed 50 mil Duro-Last® membrane including a Duro-Last® parapet membrane.